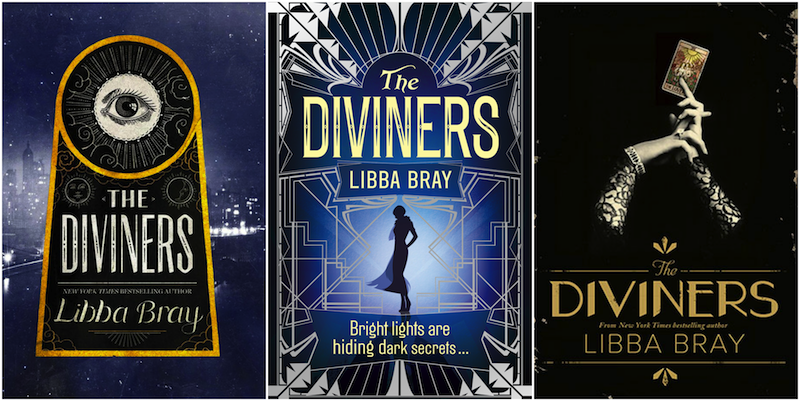 After three long years, the second novel in Libba Bray’s Diviners series — Lair of Dreams — is finally being released tomorrow (August 25). To celebrate, we made a three way book cover battle! Which cover would you display on your shelves? The original US hardcover (left), the UK paperback (center) or the AU paperback (right)? Keep reading for the synopsis and vote for which cover deserves the top spot below the jump.